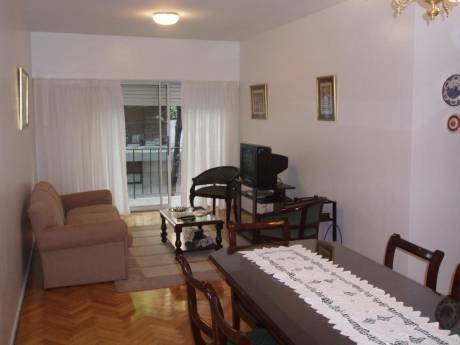 Ours is a very nice apartment in the very heart of Buenos Aires. Located on a 9th floor of a modern building, with two elevators. There is a bright living room, dining area, a large master bedroom with a king size bed that can be parted into two single beds and two single bedrooms, one of them with a small bathroom attached to it. One bathroom with shower-tub. The kitchen is very bright and complete, equipped with all the necessary appliances. The living room is air conditioned and there are ceiling fans in all three bedrooms. 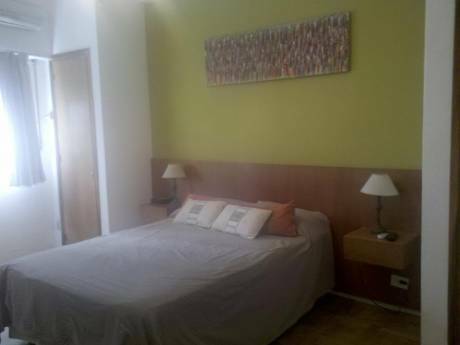 The place is very quiet since the apartment faces opposite the street and there only are two apartments per floor. It is an ideal place for reading, studying or working, since in spite of its central location, it is free from street noises. We are a retired couple, myself a former businessman and my wife still heading a fashion and design school. We love to travel and to know different countries, interested mainly in art and architecture. We are quiet persons, non smokers and very respectful of other people's homes. In addition to soccer games and tango shows, in Buenos Aires you will be able to watch the best polo in the world and enjoy one of the most important fleets of private boats and yachts. A main issue is to savor world-famous Argentine steak at the numberless restaurants throughout the city. No less than 150 theaters, as well as museums, art galleries and libraries are only part of its very active cultural life. 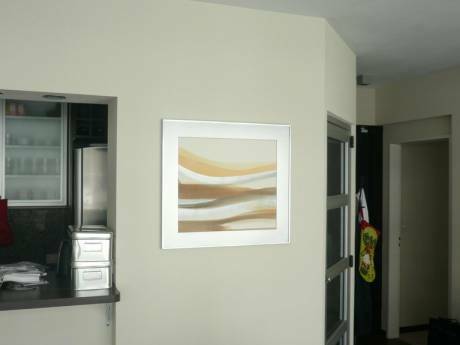 Our 3-bedroom apartment is strategically located on the very heart of the city, steps away from its most important landmarks: world-famous Colón opera house is only four blocks away and so are the National Congress, Palace of Justice, Sarmiento Palace and the Rodríguez Peña, Congreso, Lavalle and Libertad squares. Its location is half way between fancy shopping Santa Fe and dazzling Corrientes avenues, the latter with restaurants, theaters and night life. Three close subway stations and several bus lines cover most destinations.